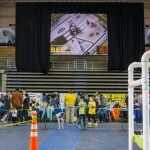 For the 9th year, BEL.com provided audio and video services for the First State Robotics and First State FIRST Lego League Competitions held at University of Delaware’s Bob Carpenter Center. 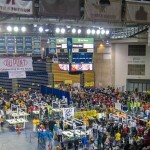 This day long event holds Junior FIRST Lego League, FIRST LEGO League, FIRST Tech Challenge, and the FIRST Robotics Competition, making it one of the largest single-day FIRST events in the world. 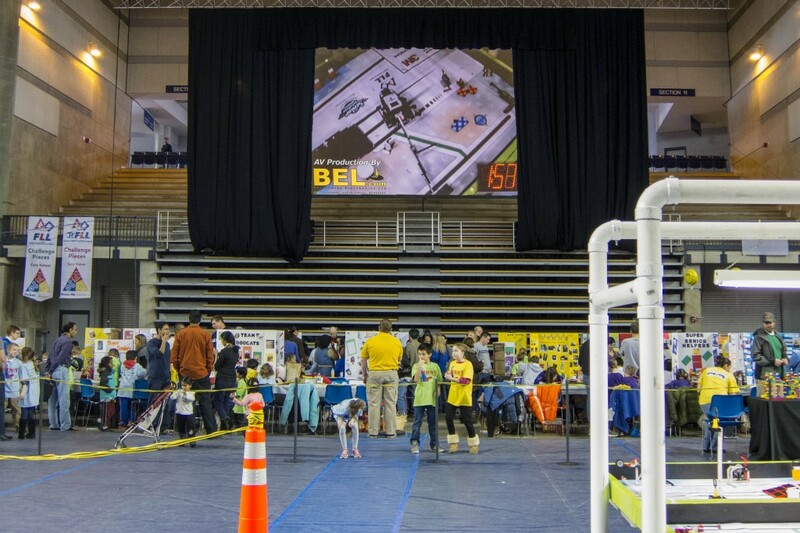 BEL.com provides birds-eye view cameras over the FLL competition fields, for a larger than life view on a 15×20′ projection screen. The cameras are remotely operated using a custom programmed Crestron control system. 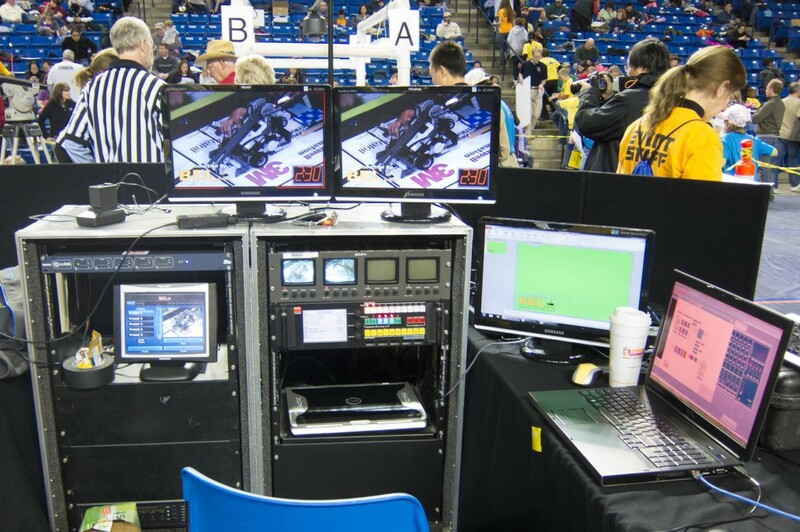 Panasonic HD cameras are also used to provide IMAG of the opening and awards ceremonies. 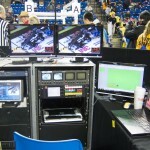 Audio requirements are a challenge in this 5,000 seat arena, especially since the event requires three separate audio systems which may or may not be combined throughout the day. BEL.com utilized BSS Audio’s Soundweb-London products to efficiently carry multi-channel audio to and from Front-of-House using only a couple CAT5 cables. This is especially beneficial to minimize cables that need to be temporarily installed for the event. BEL.com originally installed the audio system in the Bob Carpenter Center in 1993, much of which is still utilized today. For more information on First State Robotics or FIRST Lego League, please visit www.fsrobotics.org, www.usfirst.org, and www.firststatefll.org.